Not everyone can go from being an 11 year-old runaway to an internationally recognized poet and songwriter. Yet, Rod McKuen did just that. Although he never really garnered many accolades for his musical performances, his song writing netted over 1,500 songs and the sale of over 100 million record albums. 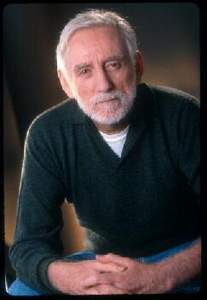 In the poetry realm, McKuen began publishing books of poetry in the 1960s, including such titles as Stanyan Street and Other Sorrows, Listen to the Warm, and Lonesome Cities. His works have been translated into over 11 different languages, and his books have sold millions of copies. In 1968, his audio recording of Lonesome Cities earned him a Grammy award for Best Spoken Word Recording. For such remarkable accomplishments, one might think the McKuen was professionally trained or formally educated in music or English composition. But this is as far from the truth as one might get. In reality, McKuen ran away from home at the age of 11, after finding that he could no longer tolerate his alcoholic step-father’s violent outbursts. Born in 1933, the young McKuen managed to find work in a variety of places, including working as a ranch hand, surveyor, rodeo rider, railroad worker, lumberjack, and radio disc jockey. In spite of having never completed high school, McKuen managed to find his way into writing for a newspaper in California. He had also been keeping a journal in which he recorded poetry and lyrics for songs he was writing. As was common in the San Francisco area for young poets, McKuen often did poetry readings in clubs, joining such others as Allen Ginsberg. He later performed some of his musical compositions at the Purple Onion. McKuen’s skill at songwriting was evidenced by the impressive list of musicians who recorded his songs: Glenn Yarborough, Madonna, Johnny Cash, Andy Williams and Frank Sinatra just to name a few. Of his many poems, The Need seems to have been one of his more popular. 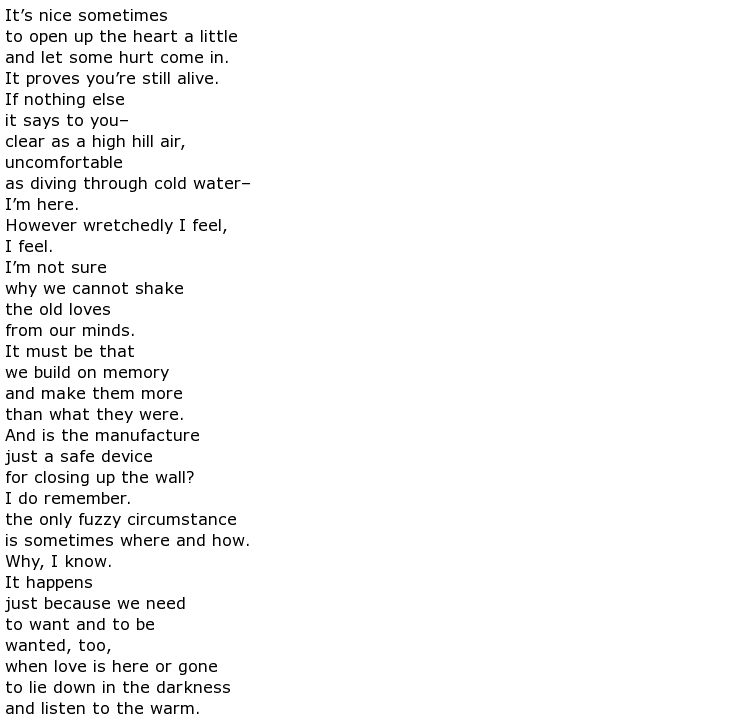 Other poems by McKuen include this interesting selection which was apparently written in memory of a pet cat. Regardless of what his critics might have to say, McKuen’s poetry has a significant appeal to the masses. It seems that, even though academia found his poetry uninspiring, he remains popular among a wide range of audiences.